THE best things come to those who wait and that is most definitely the case for the Mid Tyrone Zone’s men’s team, who finally got their hands on the Boomer Cup after 51 years of trying. The team overcame favourites, reigning champions Oriel in Clontibret, Co Monaghan, this day last week by just three points following a thrilling finale. 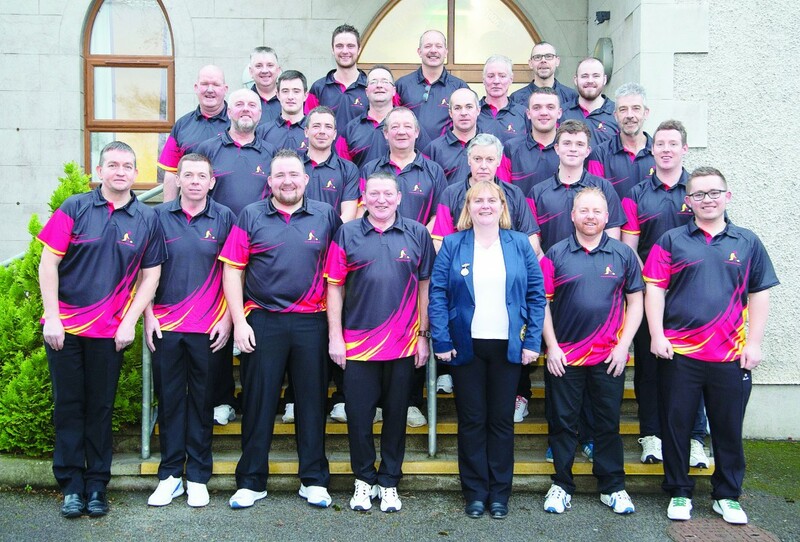 After engineering a 17 point half-time lead, the expected Oriel fight back materialised as the title holders drew level at 49-all before Gary McNabb sealed the deal with the final shot of the final end of his match with Niall Hand’s rink. The Fintona Pearses man had to punch the jack out and draw to it in order to secure Mid Tyrone’s maiden success and despite the pressure, he made the shot with relative ease. “It was one of those, there was a bit of pressure but I felt confident, to be honest. I was glad the rest of the boys left me in the position to do it. It was a pressure bowl and thankfully there were no jelly arms!,” explained a delighted McNabb, who hadn’t even taken up the sport the last time Mid Tyrone reached the final, ironically against Oriel in 2005, the year they first won the crown. “It feels pretty good, it was pretty special to win it,” McNabb added. “Our first half had the hard work done, that’s one thing I’d like to get said because they did the hard work and it was just about us guys holding on. The first half scores were as follows (Mid Tyrone names first): Robbie Foster 10 John Murnaghan 4; Norman Rutledge 13 Stephen McMahon 10; Colin Shortt 12 Sean Trainor 4. Although they were 17 points to the good at the interval, Mid Tyrone knew that Oriel, who were seeking a third title in a row, would respond in the second half. And that’s exactly what happened as Gerry McCabe excelled as it all came down to the last end after Stuart McSorley’s rink salvaged two points before McNabb struck to seal the title for the first time ever. Second half scores: Stuart McSorley 6 Gerry McCabe 18; Gary McNabb 5 Niall Hand 5; Gerard Conroy 6 Paddy Hanlon 8. “It took us 51 years to get it, we are hoping this will be the first of many,” said Mid Tyrone Zone convenor, Carmel McKim. “Mid Tyrone would like to thank Oriel for such a great competitive day. Mid Tyrone’s win means they will travel to Wales in October for the Top Teams against their counterparts from across the UK.